Ancient Egypt’s brave empress Nefertiti has gathered the best prizes to create a Playtech game with an atmosphere of LUXURY. Egyptian Gods can award you with so much gold than you imagined. The only thing you have to do on these 5 reels is to act as a real warrior. 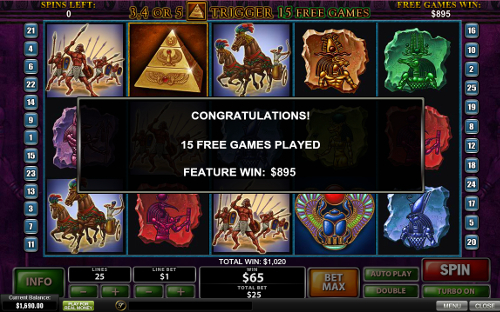 Leave all your worries behind and start The Pyramid of Ramesses Slot Machine. Once you try out the 25 lines of Seth, Thoth, Horus and other Gods, you’ll be on your way down the path of luck with nothing but ENDLESS WINS in sight. Ready to hit the no download slots? Even today, the pyramid, one of the seven wonders of the Ancient world, can do magic. 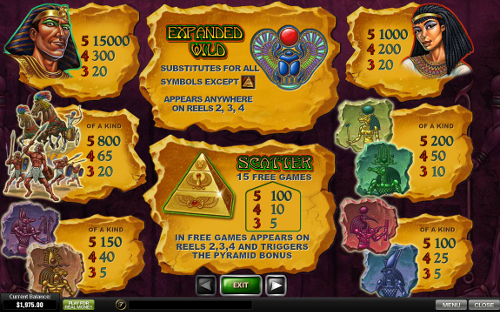 Collect at least 3 Pyramid icons and 15 Free Spins will be your reward. The fortune doesn’t end here. 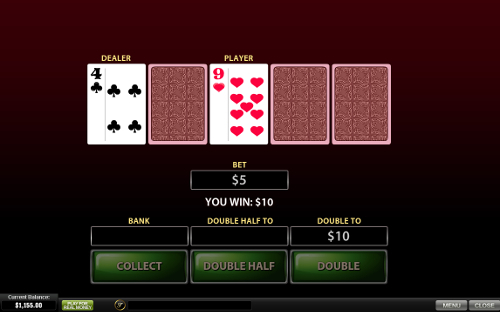 The same symbol combination on reels 2, 3 and 4 during the feature leads you to the Pyramid Bonus. Here, besides a cash prize, you can also grab a 200x Multiplier. What a catch! Are you given to guessing cards? Try the Gamble Feature after each successful spin and see whether you are as lucky as you think. Multiply your gains and conquer the Gods with a card higher than the proposed one. If you guess right, you are free to Double, Double Half or Collect your profits. Nice! Don’t be nervous! It’s just the wild symbol. The Sacred Scarab comes out on reels 2, 3 and 4 only, and replaces all the other icons but scatter. Pretty good for a small beetle, huh? Moreover, the wild will expand once it’s a part of a combo. The mystery Pyramid is your key to lucky spins. This scatter symbol pays anywhere among the reels and rewards you with incredible prizes. Just grabbing up to 5 Pyramids, you can be sure your amount will receive a 5x, 10x and even 100x Multiplier. Bravery is rewarded. With the option to stake from $0.01 up to $1, you can choose your amount. By increasing the stake, you show the gods you mean business. Prove your seriousness and activate all possible paylines. 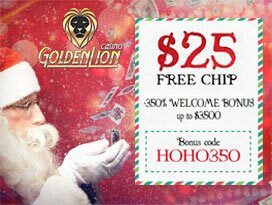 Even playing to the full, your bet won’t be higher than $25. See, Ramesses loves you already. 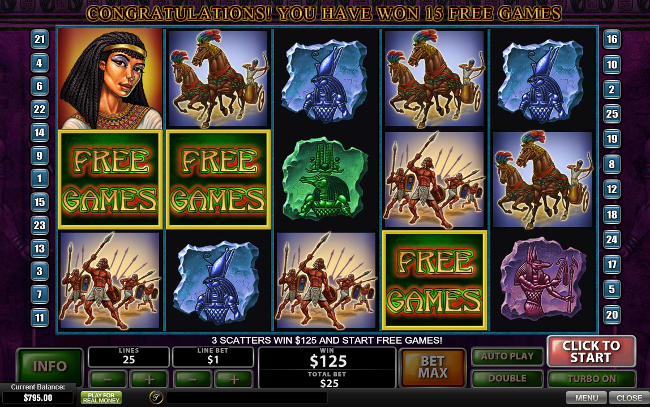 The emperor is eager to help you; if he’s pleased with your input, 5 icons of Ramesses will bring you the top jackpot of $15,000. Wow! Another sacred animal of Ancient Egypt is the cat. If you can’t get enough of this regal creature, check out Cat in Vegas Slot and see how the kitties have changed. Being the Lord of the whole Egypt, Ramesses is also owner of the slot. Thus, he doesn’t only produce the highest wins, but also activates the Progressive Jackpot, covering a line with 5 symbols. Activate all 25 lines, place a corresponding bet for a certain jackpot and wait for your cash prize. 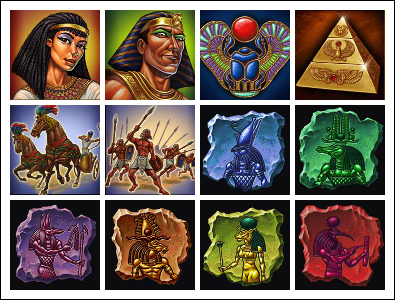 Surprising you with its numerous wins and large gems, The Pyramid of Ramesses Slot Machine will definitely become one of your favorite. Travel to the ancient world and see if its ways suit you.